The excitement was contagious at the Child Food Hub as 80 volunteers packed over 1200 Thanksgiving meal kits for the community! On November 15th, the United Way of the Greater Triangle partnered with the Food Shuttle for their first ever Day of Caring! 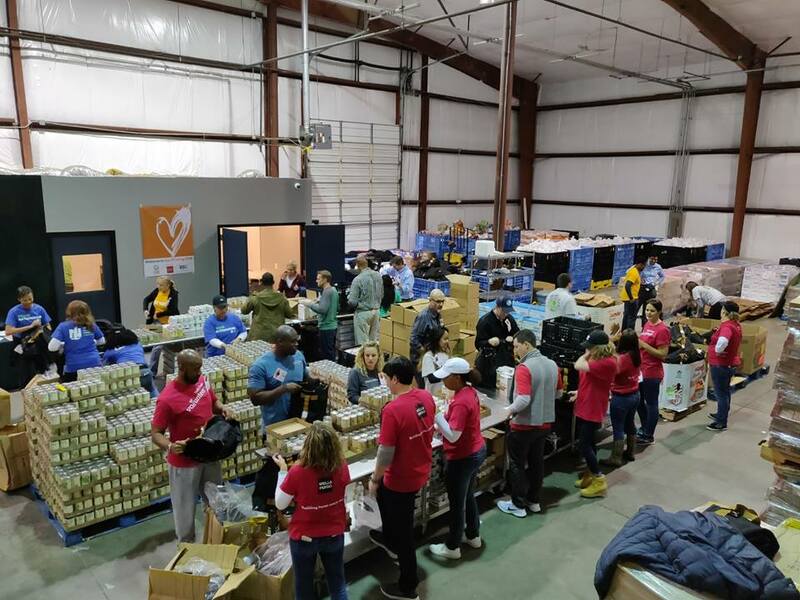 Volunteers from different United Way corporate partners packed more than 1,200 Thanksgiving Meal kits that were distributed through Food Shuttle programs, including Grocery Bags for Seniors, Mobile Markets and our Camden Thanksgiving Community Meal. Just in time for Thanksgiving! Thanks to Wells Fargo for making the event possible and for volunteer support from United Way’s corporate partners, including Publix, Wells Fargo, Kellogg’s, Microsoft, Eaton, Nationwide, Enterprise, Weatherby Healthcare, Deloitte, Redwoods Group, and Spotlight Solar.